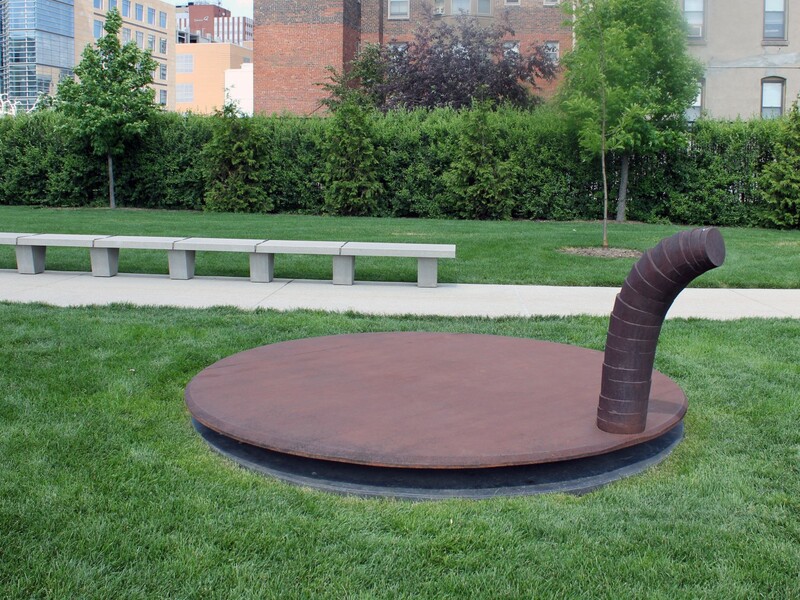 Decoy is a bronze-sculpture by the artist Martin Puryear that is composed of two elements, a large, circular disk that appears to hover a few inches off the ground and a periscope-like appendage that protrudes from the edge of the disk. 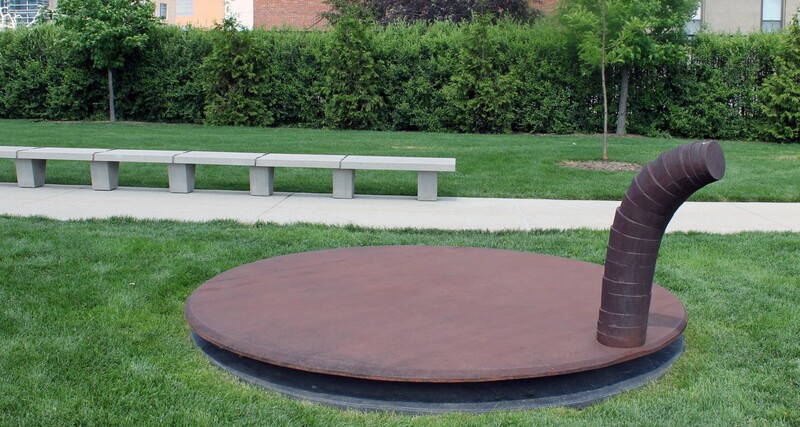 The perception that the base of the sculpture is hovering can be understood in relation to the title of the work; it is not really hoving, but Puryear uses techniques of visual trickery to lead us to think otherwise. Des Moines Art Center assistant curator Laura Burkhalter suggests that the periscope-like element that gives the viewer the impression that someone or something is looking out from underneath of the sculpture adds to the sculptures functioning as a “decoy” in this literal sense. In addition, Burkhalter points out that, from a distance, Decoy resembles a dummy duck or some other device used by hunters to lure poultry. Finally, viewers who carefully scrutinize this work will notice markings that resemble wood grain. Indeed, wood is Puryear’s favored material and one in which he has worked extensively, studying different techniques in Africa, Asia and Europe. Decoy retention of some of the features of an earlier iteration of the piece in wood is yet another example of how the work’s title operates on the physical object. At first, a simple-seeming sculpture, Decoy appears to be many things which it is not.